There is no denying that pets are part of the family. Good thing there is no need to leave them at home when there&apos;s a host of dog friendly attractions to be found in Panama City Beach. We love Puppers and Doggos as much as you do and want to make sure your beloved pets enjoy themselves during their stay. With plenty of pet friendly accommodations to choose from, as well as your choice of spots to walk, splash and play, your dog (or adventurous cat) is sure to love it here. A trip to Doggie Beach, anyone? Located across from Pier Park, this 400 ft beach is open to dogs on leashes. Where else can you head into the surf with your best animal buddy or enjoy a leisurely seaside stroll? This is also a great spot for your pup to interact with other dogs. Feel the gulf breeze on your face as you watch your dog look happier than ever. 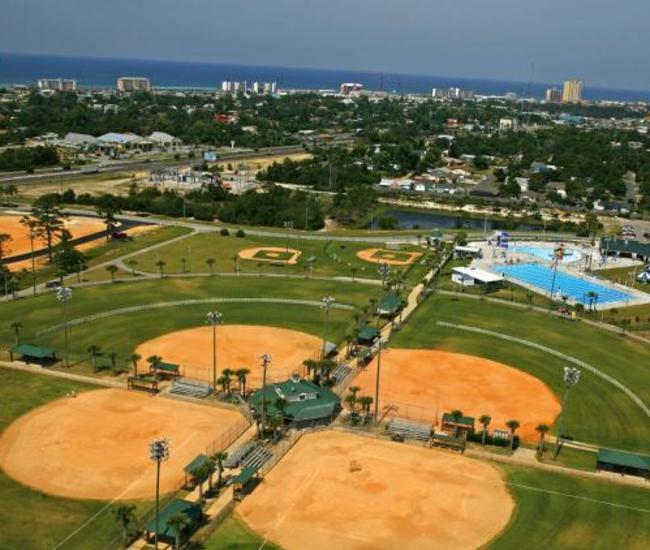 Frank Brown Park has a wide range of amenities, from softball diamonds to shuffle-board courts, including two places perfect for puppers. At the dog park, dogs can prance around leash-free in a fenced-in playground. Or perhaps you would both love a hike around the 1.5 miles of dog friendly trails on site. While you are here, you&apos;ll have no trouble keeping active. 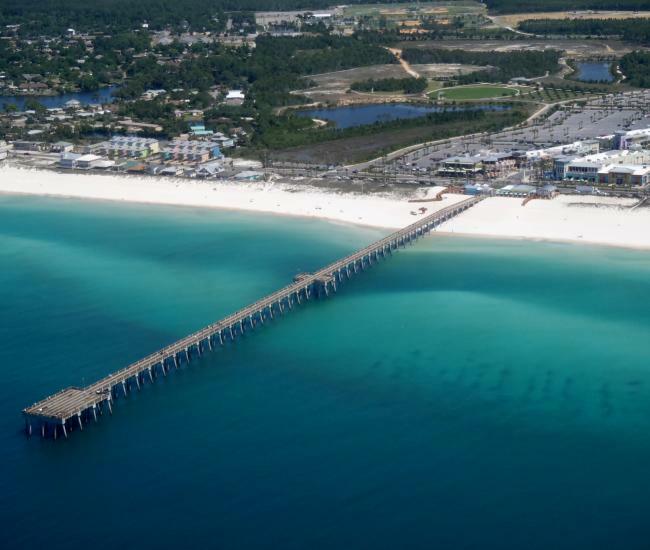 Your dog would also surely delight in a walk down Russell-Fields Pier, which extends 1500 ft into the Gulf of Mexico. A desirable fishing spot for catching king mackerel or redfish, the pier can be accessed by spectators for only three dollars a day. Bring your dog and take a gander at the angler action as well as the phenomenal views of the gulf. 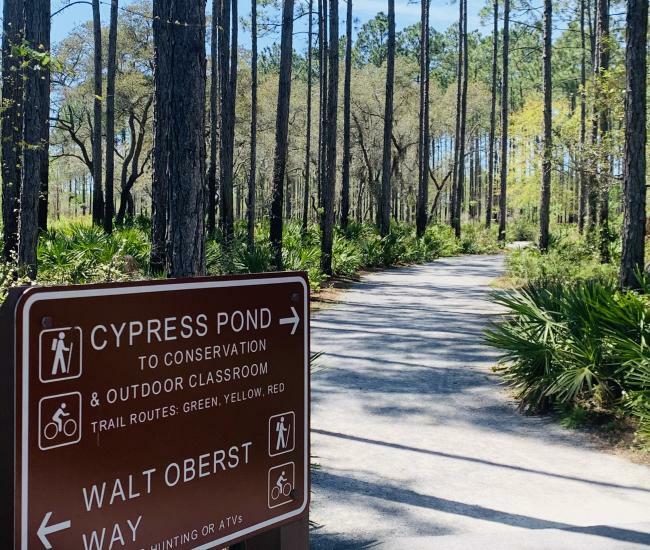 If you are looking to get more exercise with your pet, be sure to drop by Panama City Beach Conservation Park. A protected ecosystem, it contains miles of paths for you and your leashed loved one to explore, free from motorized vehicles. Be sure to also bring along a pair of binoculars for the stellar bird-watching. When you and your best mate are all tuckered out, it&apos;s time to head over to Aaron Bessant Park. 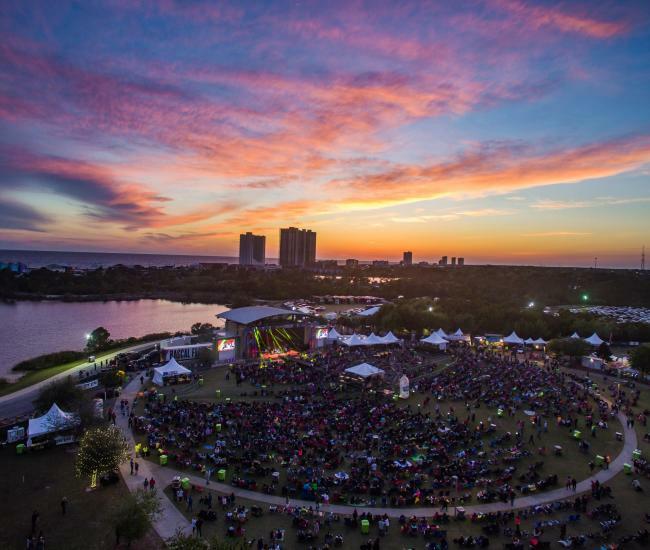 Not only is this a lovely place for a grassy stroll, but it also hosts a summer concert series in a state-of-the-art outdoor amphitheater. That&apos;s right: you can treat your friendly pet to a Thursday night at the theater! 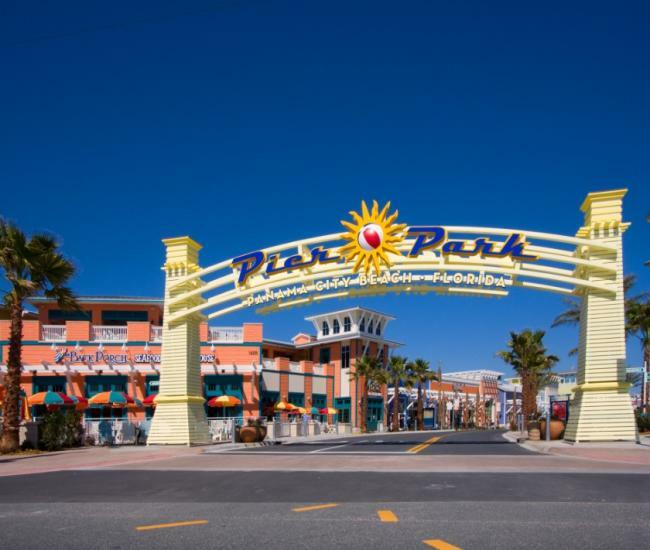 Pier Park is Panama City Beach&apos;s irresistible outdoor mall. Find plenty of room in the outdoor walkways where you can bring your furry friend. Before you go, know that dogs (except service dogs) are not permitted inside most stores and restaurants. However, one exception to this rule is Ron Jon’s Surf Shop where your dog can be carried inside while you shop! So feel free to bring your pet along while picking up souvenirs or surf gear. Is it dinner time already? Fortunately, you can dine in style with your pet by your side. Many Panama City Beach eateries allow for dogs to accompany owners on the patio. Try Taziki’s Mediterranean Cafe at Pier Park, featuring gyros made to order plus hummus, pita and plenty of vegetarian options. Head over to local favorite Salty Sue’s on Panama City Beach Parkway, which serves southern cuisine like fried green tomatoes, shrimp and grits, as well as barbeque, wings and American fare. So enjoy delicious al fresco dining without leaving Fido behind. Together you can soak up some sun while savoring tasty treats. There&apos;s no need to sacrifice time with your animal or making the most of your vacation: Panama City Beach allows you to bring your pet along for the family vacation.